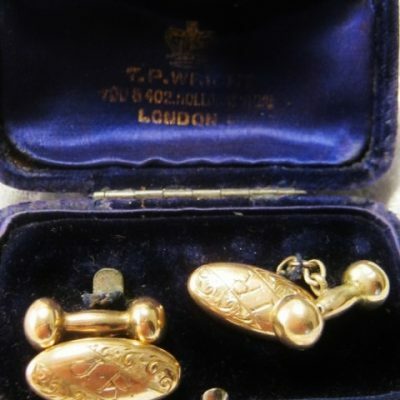 A genuine pair of Edwardian 9ct Gold Cufflinks in good condition. Circa 1910 & will polish up brighter if desired. Great value at $250. At this price , there is no reason that you can’t own & wear a fine pair of Edwardian 9ct Gold Cufflinks to work Or when stepping out! At approx; 19 mm’s long engraved bowl x 24 mms back bar , these are of pretty much standard size , yet by no means smaller than most. An indicator of quality being the generous 5.05 grams that the combined cufflinks weigh. Which is double the weight of many similar examples made / on the market today. 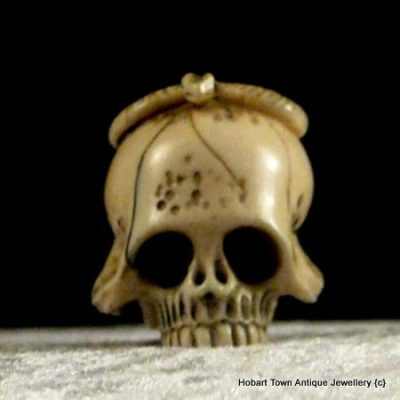 Dating to around c1910 , the rear is marked 9ct & Britiannic or similar , being the brand name. These will clean up to whichever degree that you would like them cleaned too , yet we always leave them as is , unless there is no option but to clean to some degree. 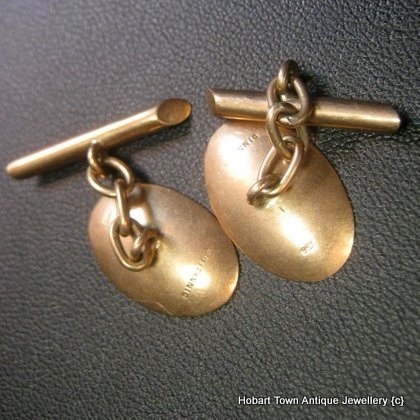 With the high & continuously increasing value of gold , this handsome pair of Edwardian 9ct Gold Cufflinks have approx; Half of “our selling price” in gold value alone!! Which is very rarely seen at such 50/50 price ratio. 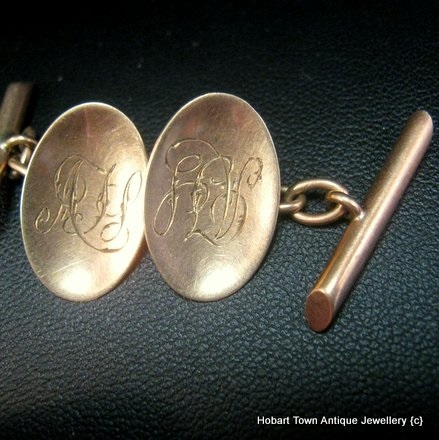 Making these beautifully engraved & authentic Edwardian 9ct Gold Cufflinks excellent value for money in anyone’s books! 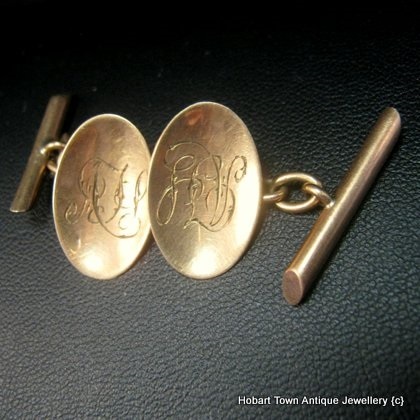 The engraved A H , when viewed from a slight distance , genuinely presents as a finely engraved pattern & not anyone’s initials , allowing any man to own & wear these attractive , genuine antique solid 9ct gold cufflinks. 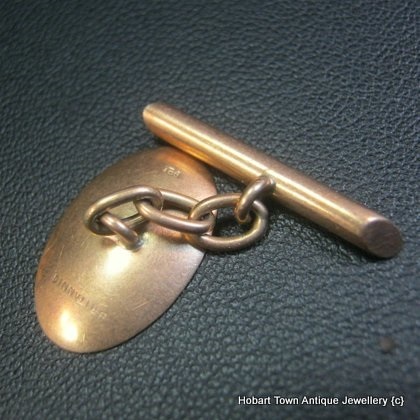 Strong & secure , the links are ‘old fashioned quality’ hand worked & there are no issues regarding security with this quality paid of Edwardian 9ct Gold Cufflinks . 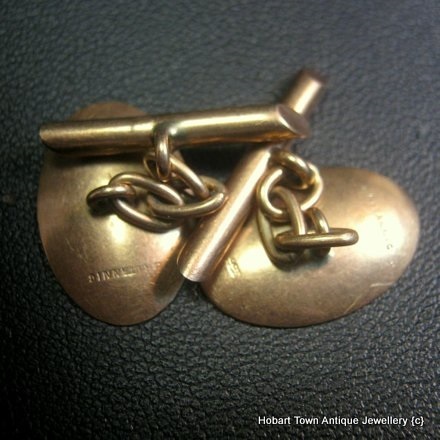 These make an ideal gift idea for the man with style & priced as they are , for an original pair of 100+ year old solid gold beautifully engraved cuff links ~ you are looking after yourself as well at this price! 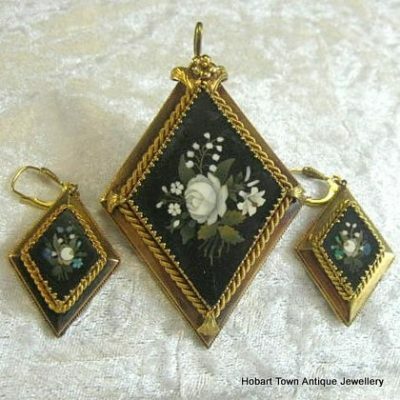 The fact that these have not had “all the age polished out of them” ~ naturally is always a major bonus when purchasing any piece of antique jewellery , even for re-sale in years to come. 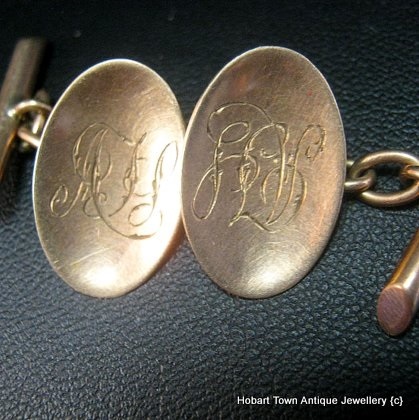 If you have any questions regarding this pair of Edwardian 9ct Gold Cufflinks , please email for a prompt response.